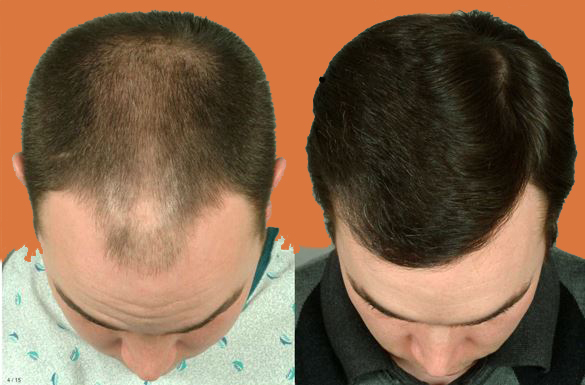 Who are the Hair Transplant doctors and how did they Specialize? In the United States all hair transplant doctors are medical school graduates who have taken and passed national board exams and completed at least one nationally recognized residency in any medical specialty to receive a license to practice medicine and surgery in their particular state. Only with this license can a person legally and competently perform a hair transplant procedure in America. Interestingly, most hair transplant physicians practicing in the US today did not start out as hair transplant practitioners. 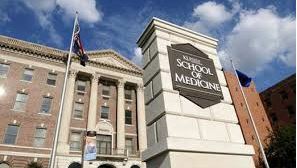 Rather they may have trained in general medicine, family medicine, dermatology, urology, ER medicine, general surgery, plastic surgery, psychiatry, and more. Any licensed physician may perform hair transplantation. Original specialty training plays little role in a doctor’s ability to learn and perform great hair transplants which is why it is so crucial to learn about the doctor himself/herself rather than to simply rely on the specialty they trained in prior. For example, there are some doctors whose original training was in plastic surgery who are just awful at hair transplantation, and yet there are those who trained in ER medicine that are absolutely great at it, and visa versa. It’s the results that tell the whole story and this is the very foundation of HTW. We make it easy for you to see and compare the results and interest level of every hair transplant doctor so you can judge for yourself who are the most dedicated, caring, consistent, and best hair transplant surgeons in the country. Photo courtesy of Dr. Robert Haber, Ohio. So where do these doctors receive their hair transplant training if not in their original specialty? The answer is: from other doctors who are already specializing in hair transplant surgery. Since all American doctors are licensed to perform surgery they are already trained, experienced, and competent in performing minor medical procedures. And that is exactly what a hair transplant is at its core: an in-office minor medical procedure. All they need is some basic training in how hair transplantation is actually done step by step and they should be able to start performing them. HOWEVER, being able to perform a procedure and being able to perform a procedure WELL are two completely different things. Some doctors have a natural affinity for performing minor surgical procedures and the nuances of hair transplant surgery. Others simply do not. So how can you pick the right doctor? Simple, view their profiles on HTW. See how much they participate in terms of answering patient questions and posting their own photographic and video results. If they participate at a high level AND you like what you see in their Before/After photos then that’s the doctor you most likely want to put on your short list for consideration. But there is more to consider because being a practicing hair transplant doctor is almost impossible without a competent and experienced hair transplant staff. And it is here that most doctors wishing to get into the hair transplant field fall short. Finding, hiring, training, and maintaining a staff is very difficult and very expensive. 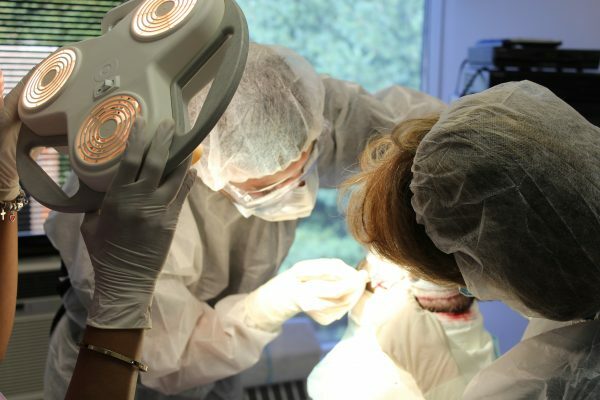 Add to that the fact that the doctor needs a sizable facility to accommodate a large staff it becomes evident very quickly that there are some high barriers to overcome if a doctor is going to perform modern quality hair transplantation. It is those doctors that overcame those barriers that made hair transplantation into the hugely successful and safe field it has become. Unfortunately there are MANY doctors in practice who seek to “corner cut” and HTW will help you to identify them and avoid them. Dr. Blake Bloxham of Great Neck, NY. with his in-house staff.